Home›SMB Legal›Are You Being Crushed by Government Regulations You Don’t Know About? Are You Being Crushed by Government Regulations You Don’t Know About? Okay, so most small business owners know about many of the onerous regulations from the IRS and state tax departments, and the Departments of Labor (federal and state). But there are numerous regulations from many local, state, and federal agencies, big and small. 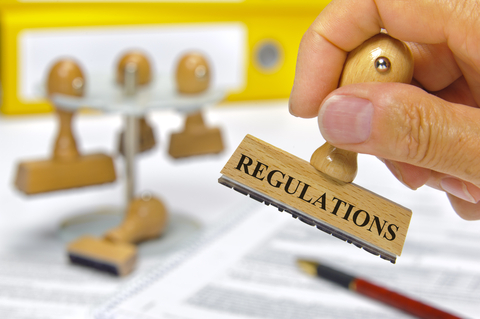 These regulations are not only burdensome to comply with, but the failure to know about them can result in severe consequences. Just ask Mary Jo Garlo and Peter Francese, co-owners of Great American Auction Services in New York, whose story was reported recently in the Maine Antique Digest. They were about to auction off an item containing elephant’s feet and were arrested (not just fined) for the illegal commercialization of wildlife. Who knew that state law (New York in this case) required a seller to obtain a permit from the New York’s Department of Environmental Conservation (DEC) for items that predate their being listed on an endangered species list (elephants were listed in 1978)? Because small businesses don’t employ a staff of attorneys to monitor regulations and advise owners about them, it is difficult, if not impossible, to know all of the rules that must be met. New York, for example, has more than 100 agencies, each with its own rules and regulations. Admittedly, not all of the agencies relate to business, but many do. Violation of some rules can result in fines and civil penalties; others violations may entail criminal sanctions. It seems grossly unfair to me for government agencies to impose harsh penalties on small business owners for seemingly minor infractions of regulations without warnings. Even better than warnings prior to sanctions would be eliminating some of these regulations entirely! Expert Circle has recently created an infographic on how to start small businesses. That is really interesting, You’re an overly professioal blogger. Also,I have shared you web site in my social networks.